Project C.O.P.E. is an exciting outdoor activity that can be used to attract and hold members in a group. It offers a set of stimulating activities designed to meet the needs of the people who are seeking greater challenges to their physical and mental abilities. 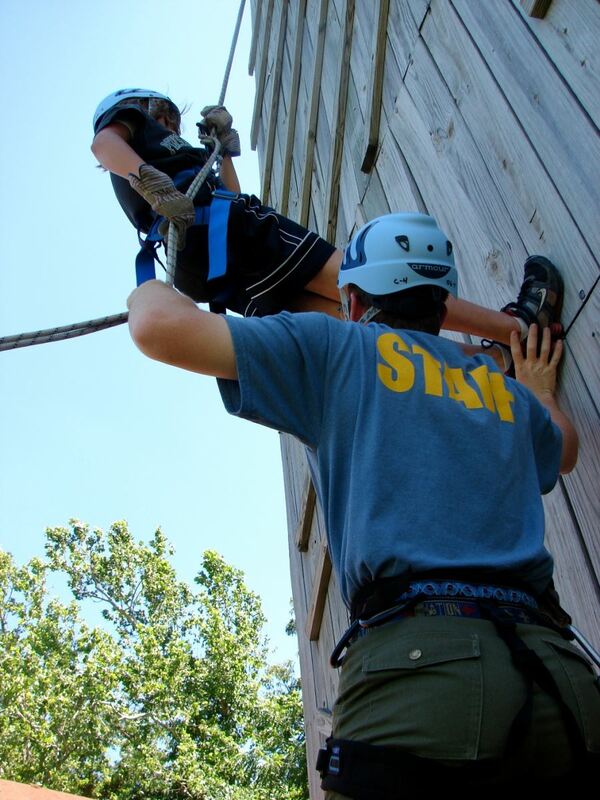 Group activities are ideal for emphasizing teamwork and leadership skills. Individual activities promote personal growth. C.O.P.E. starts with initiative games, and continues with low and high course activities. 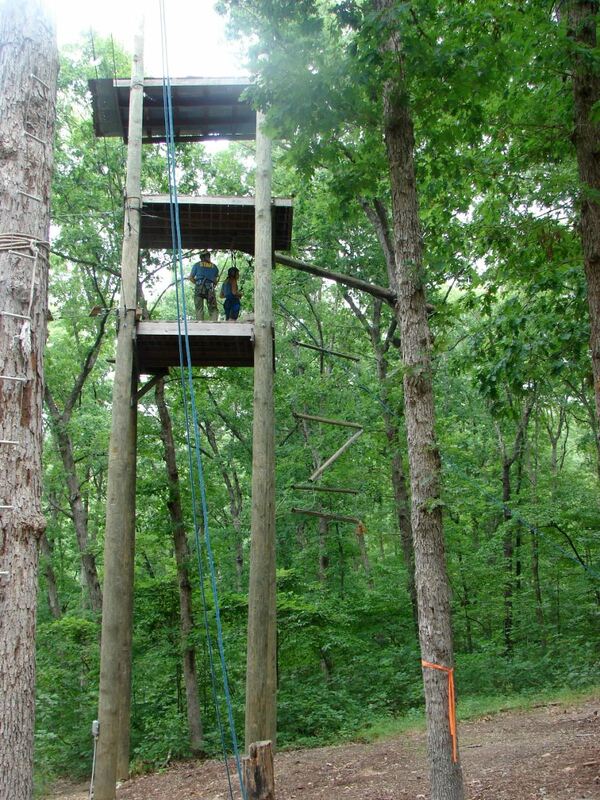 Participants will climb, swing, balance, jump, rappel and think of other solutions to a variety of situations. All participants in C.O.P.E. must be 13 years old or older by January 1 of the year attending. Each participant must have a current health history and, if under 18, a consent form from a parent or guardian. Cost: $25.00 per person - Includes registration, COPE bandana, instructors, and the use of safety equipment. (All participants must be registered members of the Boy Scouts of America. Food and C.O.P.E. T-shirts are not provided. All participants in C.O.P.E. must be 13 years old or older by January 1 of the year attending. Each participant must have a current health history and, if under 18, a consent form from a parent or guardian.) For more information please click here. Non-Scouting Groups: Call for pricing, food and lodging included. A Hold Harmless Agreement and certificate of insurance is required. Register for C.O.P.E. or Climbing online here. Is available for use year around (weather permitting) as long as a Climbing Instructor is present and approved by the Great Rivers Council C.O.P.E./Climbing committee. For a list of the qualified people within the Council, please contact the Council Service Center.